The guest book. 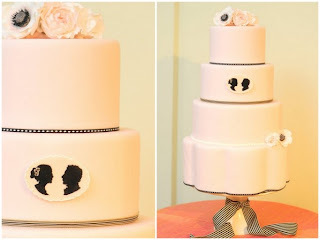 A traditional component necessary at every wedding and yet for most it's "Happily ever after" story ends up being a dust collector on a bookshelf. 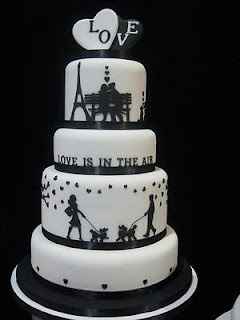 But what if instead it became a piece of art worthy to be displayed and documenting your elegant affair for years to come? 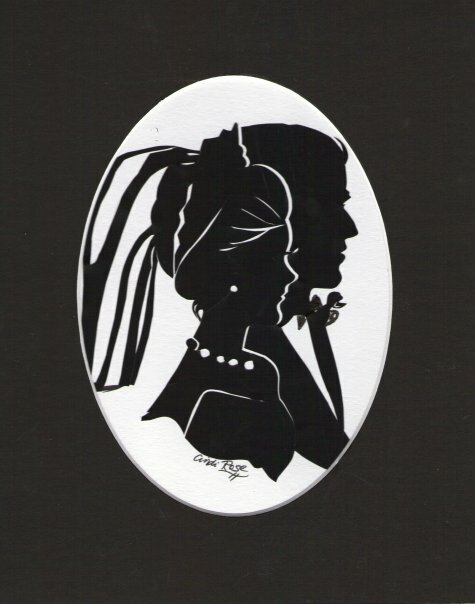 If you have been inspired by last week's Black & White Wedding then consider hiring a Silhouette Artist to not only fill the pages of your album but create a buzz of amazement among your guests. I recently had the pleasure of meeting Cindi Rose, a self-taught silhouette artist who has an impressive history of cutting famous silhouettes for Queen Elizabeth, Oprah, Mohammed Ali, Sammy Davis Jr., Elvis and more. In less than a minute, she can hand cut amazingly detailed renditions of your guests leaving everyone stunned with the talent and skills needed to produce these delicate creations. 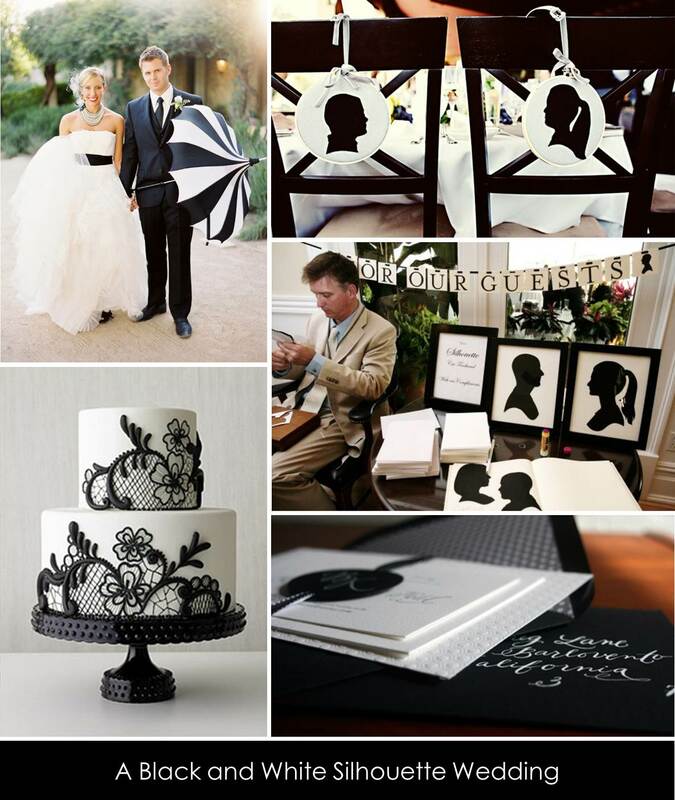 She uses French archival black paper and iris surgical scissors to create these magnificent works of art. 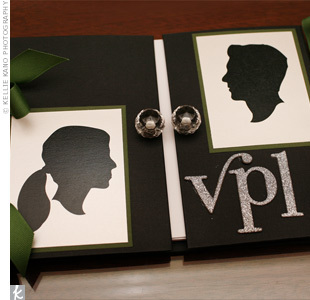 The guests silhouettes paired with their well wishes fill the pages of your album and leave a lasting impression of that day. There are lots of other personal touches where you and your wedding party's profiles become the highlight of the event. How fun and mysterious would it be to have your guests greeted at the guest book table with your bridal profile at the ceremony and replace it with your traditional Bridal Portrait for the reception. 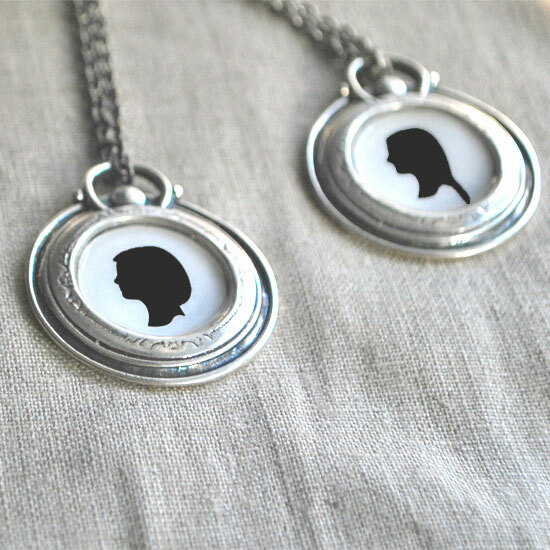 Consider a bridesmaids gift of a necklace or a brooch with each one of your lovely ladies silhouettes after having their hair done. 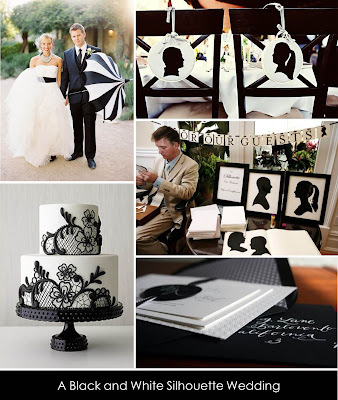 Accent the honored guests chairs with their profiles like in this story board found below. 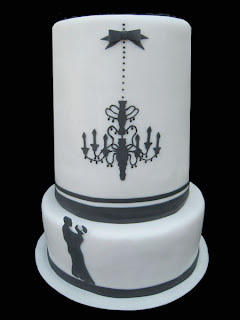 Top your wedding cake with a bride and groom silhouettes like these we found online. 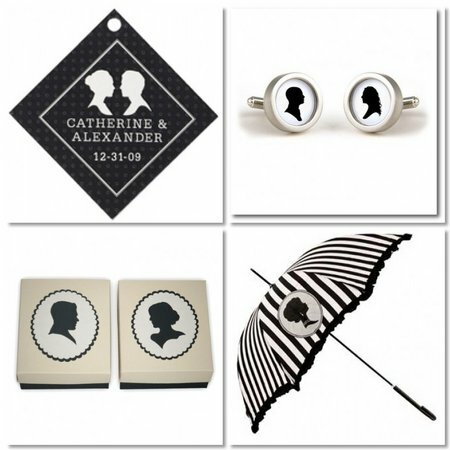 I am in love with the umbrella below that has a classic silhouette image printed on it. The possibilities are limited only by your imagination. 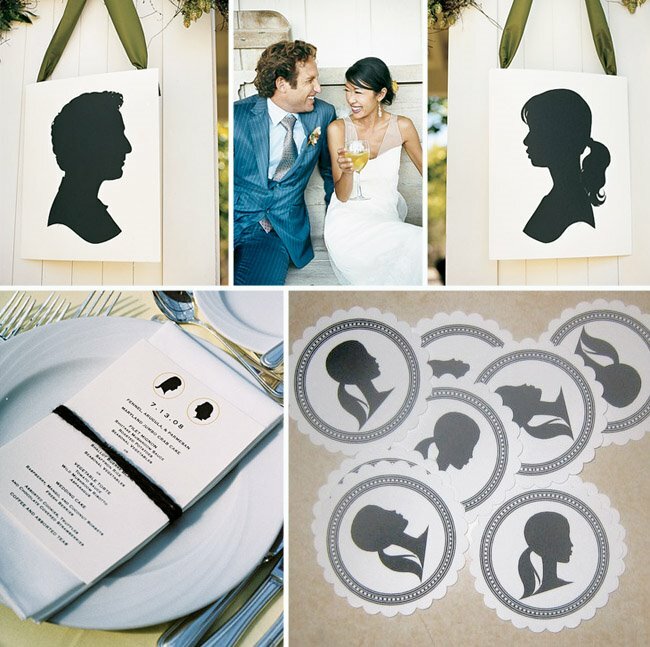 Let us know if you love the idea of a bridal profile and together we can come up with a tasteful array of black and white silhouettes to fill your wedding day. Bride's Choice Award 2009, 2010, 2011Find us on Facebook, Twitter, and Yelp!